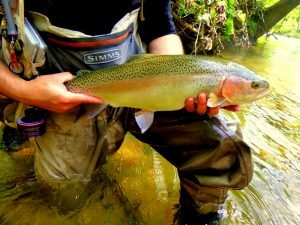 We fly fishermen (and women) are getting excited as warm summer days approach us. It’s not because the weather is nice or the water is slightly warmer. The excitement is generated from the inevitable Drake hatch that comes with the summer heat. 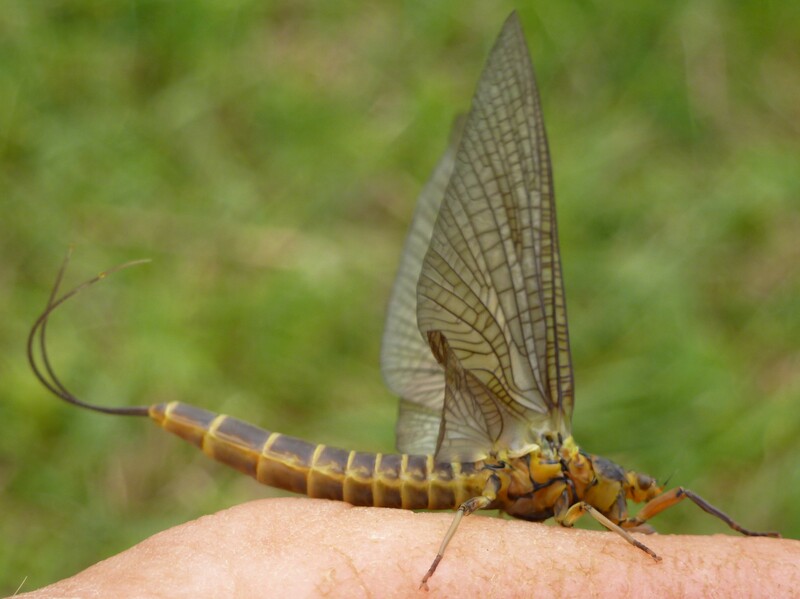 The drake is the largest of the mayflies and will be the dominant hatch on many rivers across the United States. Those in the eastern half of the United States dream about this kind of hatch. However, for those in the west, I want to help you capitalize on this wonderful hatch. Out of the many different drakes that will be hatching, there are four that are considerably larger than the rest: Green Drakes, Dark Green Drakes, Yellow Drakes and Brown Drakes. Some of these drakes are a size 6 (that’s HUGE); most are in the size 10-14 range. 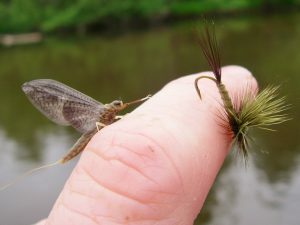 What makes the Drake hatch so neat is the fact that the fish that are rising to these flies will find a way to eat them even if the fly is bigger than their mouth. These are the largest of the Mayflies and can be found all over the eastern United States. These Drakes range in size around a 6-8. 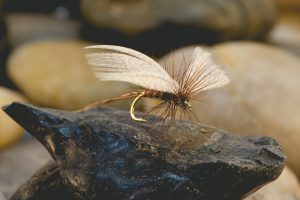 The hatch is so prolific in the months of June and July that you can barely make out the fishermen in the river over the flies in the air. Typically, the best time of day for a Green Drake hatch is the last hour of the day. 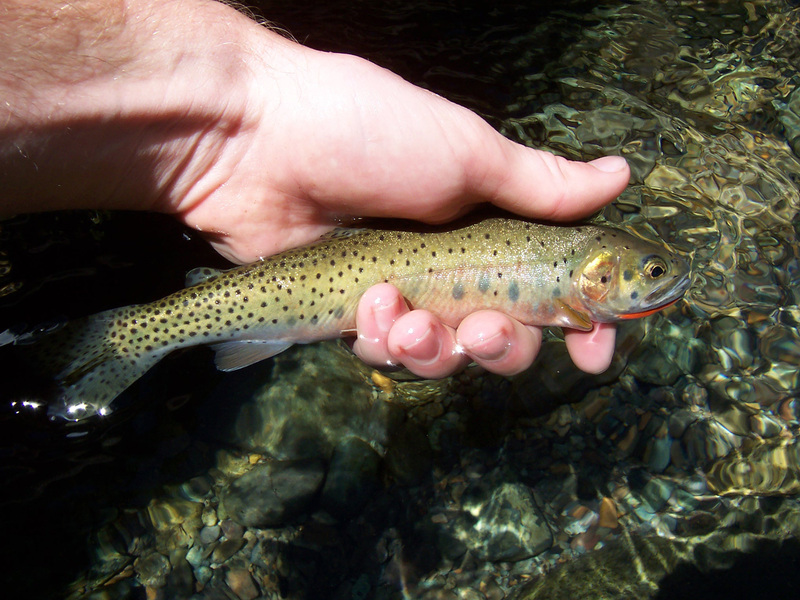 They are found on larger rivers and creeks where there are nice slow pools. These are the second largest of the Drakes and range in size from size 6 to 10, depending on where you are located. These Drakes are are more common in remote streams, away from people, in higher altitudes. Look for those streams with heavy canopy and thick cover around the streams. Is there a best time of day for these to hatch? This is the third largest of the drakes ranging in size from a 10-12. This hatch is often the longest duration hatch of the Drake family as they potentially hatch for up to two months. Yellow Drakes tend to hatch after the Green and Dark Green Drakes. 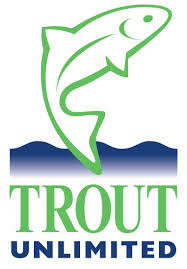 If there were really good winter rains that allow the water in the trout streams to remain high and cool this could be a great hatch to fish. If there was not enough rain over winter and early spring this hatch could be a bust if the water has warmed beyond safe fishing temperatures for trout. The best time to fish during this hatch is the last 30 minutes of daylight. Like the Yellow Drake, the Brown Drake hatch begins at the tail end of the Green and Dark Green Drake hatch. They range in size from 10-12 and are the only Drake that can be found from the Mountains of New York to the Midwest and West. Sometimes the Brown Drake hatch can cause some confusion amongst fly fishermen. This is because if you are fishing the end of the Green or Dark Green Drake hatch and trying to “Match the Hatch” without any luck it is because the Brown Drake hatch has already started and the fish are actually keying in on the Brown and not the Green. Hope everyone is getting as excited as us at Monthly Fly about these Hatches. Keep checking back for more tips on the Drake Hatches!